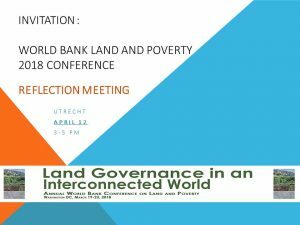 LANDac is organizing a debrief meeting following the World Bank Land and Poverty 2018 conference. At this meeting you are invited to share your impressions with colleagues of the Netherlands land community. Also those who did not attend the WB conference are very much invited to attend the reflection meeting and hear and discuss about key topics and promising avenues. This is an excellent opportunity to reflect on what is happening at the international level, with other organizations and platforms – and if and how we in the Netherlands want to respond. We invite representatives from various sub themes (land registration, women’s land rights, financing, large scale agro-investments, etc.) to share their impressions, and all who are interested to join us in Utrecht! RSVP to landac.geo@uu.nl. 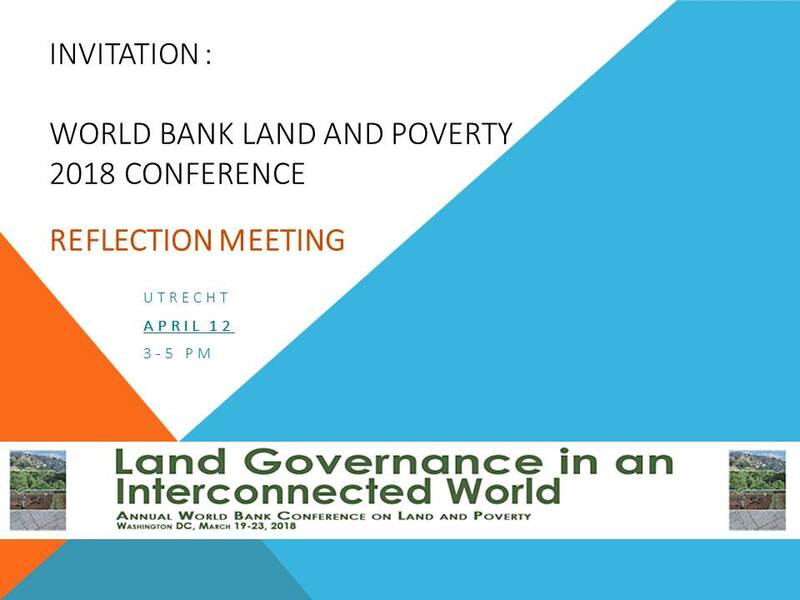 We hope to see you on April 12 and together further the dialogue on land in the Netherlands!